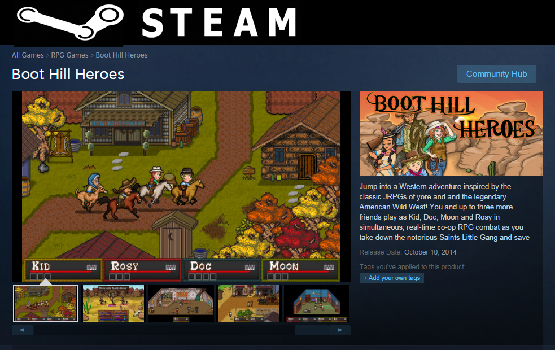 Boot Hill Heroes is currently available for Steam, PC and PlayStation Mobile (PlayStation Vita). Seems to work for me. You’re using the humble widget form above? Do the Paypal or Amazon payments link go anywhere after you enter your email? Are you still having trouble using it?